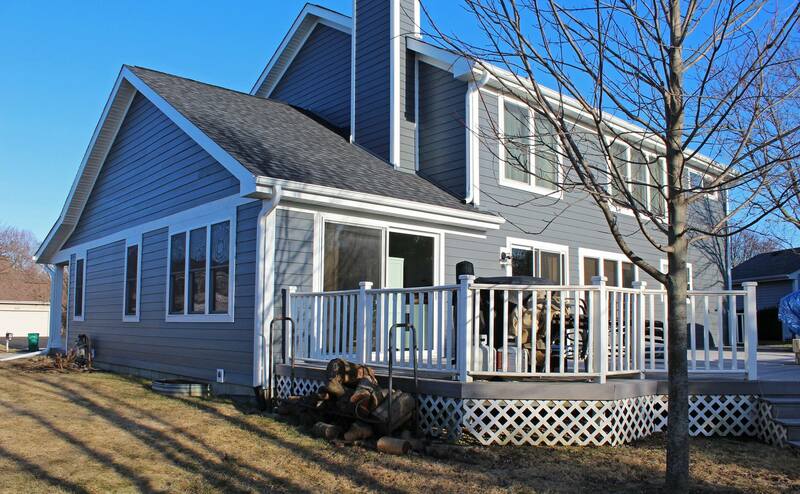 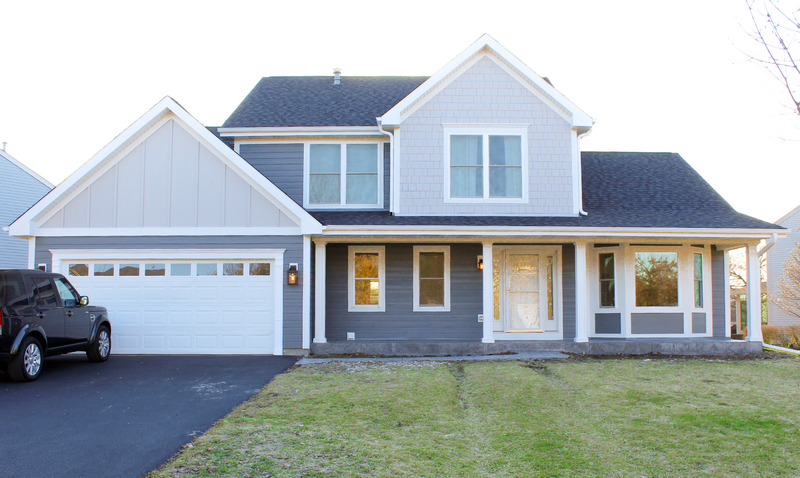 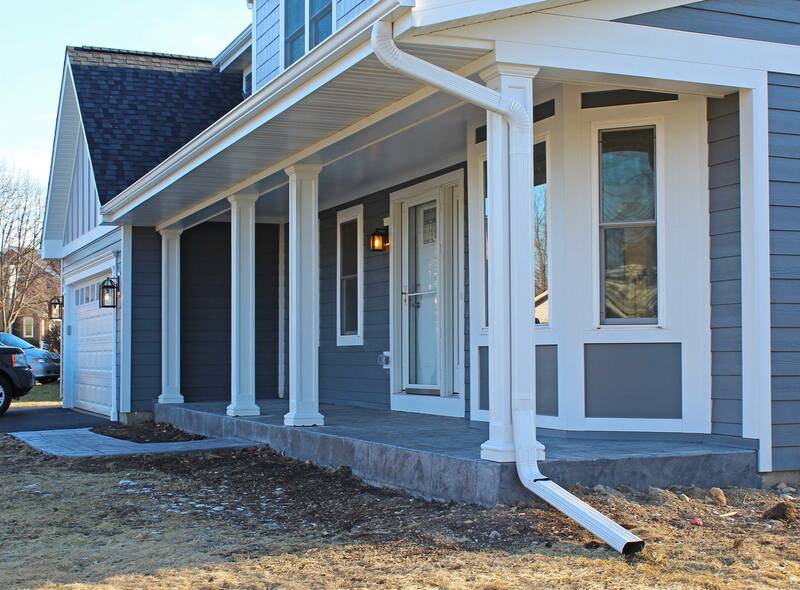 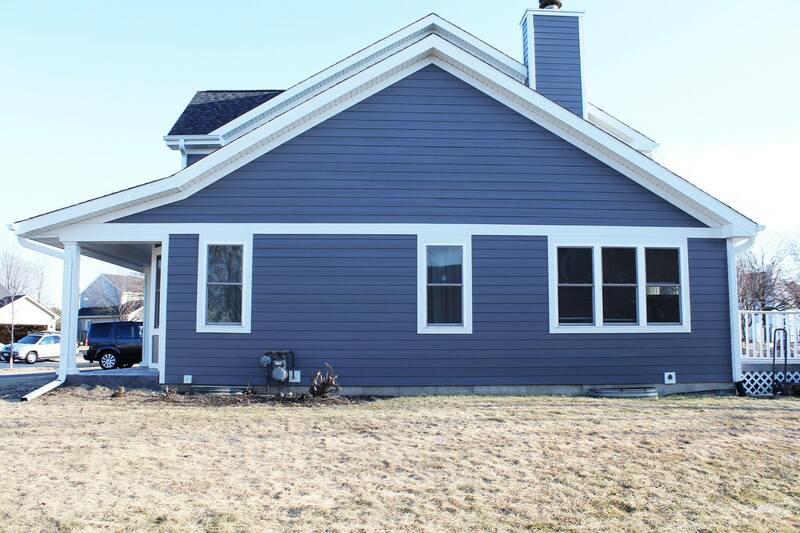 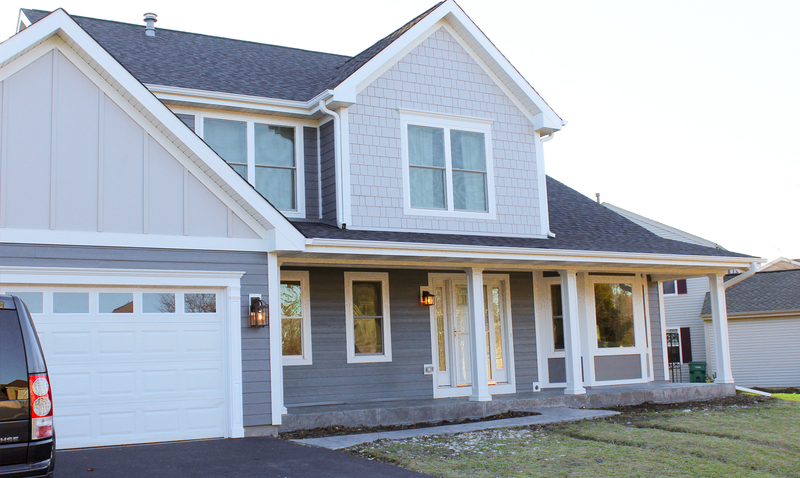 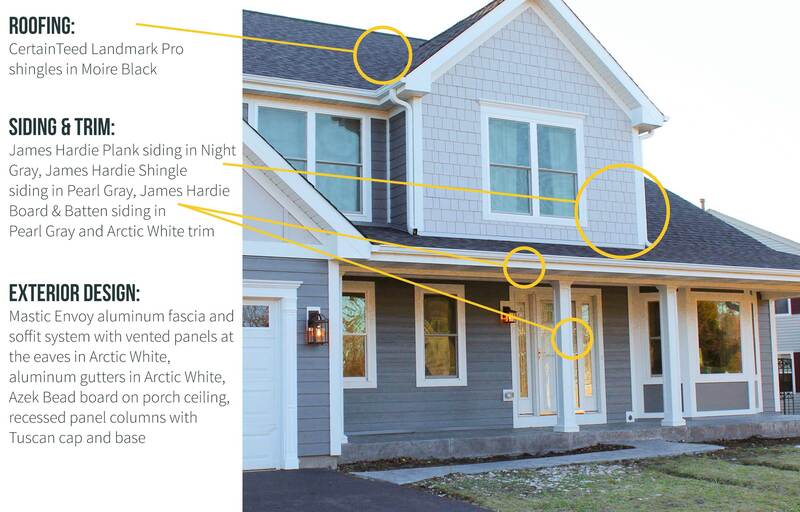 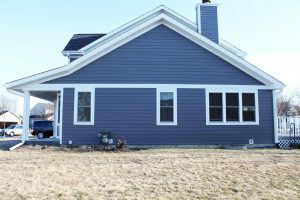 This Barrington home has a brand new porch and James Hardie Plank siding in Night Gray and Arctic White trim. 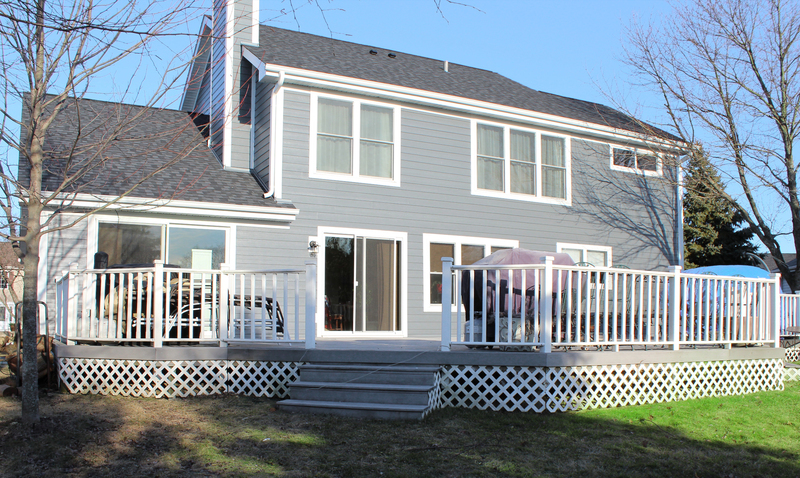 The roof was upgraded to CertainTeed Landmark shingles in Moire Black. 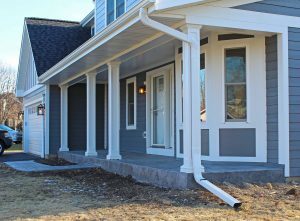 Lastly, this remodel features a new Mastic Envoy fascia and soffit system with vented panels in Arctic White and new gutters.